For the second straight year, a Spokane brewery has brought home a gold medal from the Great American Beer Festival. 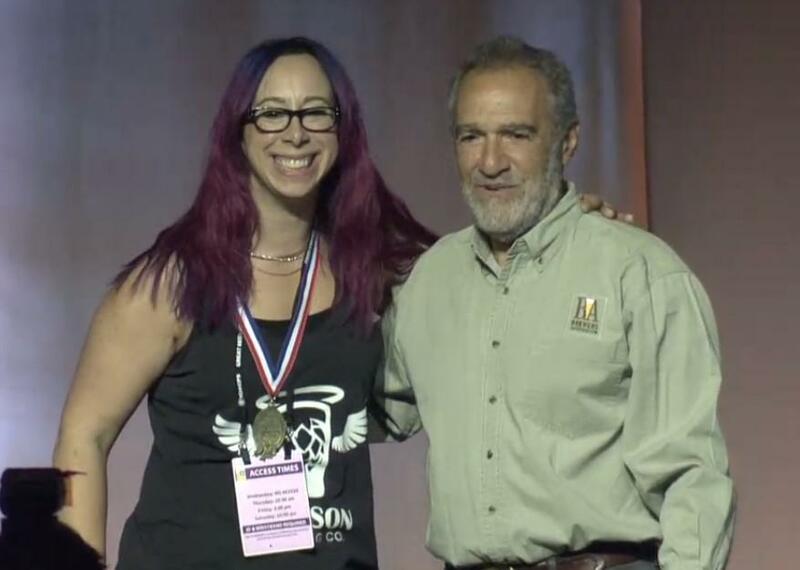 Orlison is the fourth Spokane-area brewery to win GABF gold since the competition began in 1987, and the third in the past six years. The former Coeur d’Alene Brewing won for its Centennial Pale Ale in 1988, No-Li for Crystal Bitter (now Spin Cycle Red) in 2012 and Perry Street for its Session IPL last year. The local Girl Scouts’ Craft Beer & Cookie Fest returns for a fifth year in Spokane on Saturday and for the second time in Coeur d’Alene on Oct. 19. The Spokane event runs from 4 to 7 p.m. at the Girl Scout program center, 1404 N. Ash. Black Label, the top vote-getter for its beer and cookie pairings the past two years, will be joined by fellow returnees Alaskan, Badass Backyard, English Setter, Iron Goat, Lagunitas, New Boundary, River City and Waddell’s plus newcomer Big Barn. In Coeur d’Alene, at Uva Italian restaurant from 5 to 7:30 p.m., Daft Badger, Mad Bomber and Slate Creek are back for another round along with first-timers Post Falls Brewing and North Idaho Cider. Tickets for each event are $20 in advance, $25 at the door, which includes a tasting glass, five 4-ounce pours and food (a $5 voucher for the Left Coast Fusion or Meltz Extreme Grilled Cheese trucks in Spokane, house hors d’oeuvres in Coeur d’Alene). VIP packages also are available; for tickets and more information go to www.gsewni.org. Special beers from Cascade, Deschutes, Firestone Walker, Fremont, Grand Teton, pFriem and Young Buck will pour for the The Blackbird’s inaugural Invitational on Saturday from 3 to 7 p.m. Admission is $50, which includes a Silipint silicone pint glass, 15 drink tokens (each good for 2 or 4 ounces, depending on the beer) and appetizers. Tickets must be purchased in advance at blackbird2017.bpt.me. The Lantern Tap House’s fifth annual Freshtival fresh-hop festival runs Friday from 4 to 10 p.m. and Saturday from 2 to 10. Sixteen beers will pour each day, from Oregon on Friday and Washington/Idaho on Saturday. Cost is $10 for a tasting glass (good for both days) and your first two drink tokens (8-ounce pour for one, full pint for two); extras are $2 each. And The Steel Barrel will feature Fremont’s four fresh-hop offerings along with other regional examples on Friday starting at 6. Fresh-hop beers keep rolling out from local breweries, including a bright Mosaic IPA by Perry Street (6.3 percent alcohol by volume, 65 International Bitterness Units); a reddish Mosaic IPA from Twelve String (6.6, 75); Iron Goat’s fruity Citra IPA (7.4); an El Dorado-hopped Sticky Icky Icky IPA from Post Falls Brewing (7, 70); Daft Badger’s Ekuanot IPA (7.6, 60); and a Hop Tart sour (5, 10) with homegrown hops by Waddell’s. V Twin’s Hop On Let’s Ride IPA (6, 70) is brewed with Magnum, Citra, Jarrylo and Mosaic and dry-hopped with Simcoe. The latest in Selkirk Abbey’s non-Belgian Northern Lights line is a dry Oktoberfest lager (5.3, 27). Also new at Post Falls Brewing is a mild Mullet Warrior brown ale (4.9, 25). Twelve String is serving a malty Tremolo Scotch ale (7, 28); get special pricing at a welcome party for new head brewer Kevin Pierce on Sunday from noon to 4. Bellwether has a release party for its Wind on Sea spruce Scotch ale Saturday, with a potluck at 4 and BYO cigars at 7. An early release party for Orlison’s seasonal Snowplough imperial chocolate stout starts Saturday at 9 at The Viking. A dozen hoppy offerings will pour for Twelve String’s IPA Week starting Monday. The Steel Barrel’s Oktoberfest on Oct. 19 will include a special firkin and German food. Bombastic will release its Aggravated Murder imperial stout with maple syrup and cold-pressed coffee Oct. 19 in bottles and draft at Enoteca. V Twin celebrates its first anniversary Oct. 21. The local brewing community was shaken by the untimely passing of Iron Goat co-founder Paul Edminster on Sept. 30 from complications of cancer at age 51. His gentle nature and commitment to his craft will be greatly missed. A memorial fund for his children has been established at www.gofundme.com/paul-edminster. Published: Oct. 9, 2017, 1:54 p.m.